What is a (theatre) Producer? If you've ever wondered just what a theatre producer does, watch this 3-1/2 minute video from Theatre Producer Academy, my 19-lesson e-learning course for producers of all experience levels. This morning, I was interviewed for two Internet radio shows. The first, Rex Sikes' Movie Beat was a live (and recorded) presentation of my “6-ways to finance a feature film” talk. I got up extra early to do this, so please Have a listen. 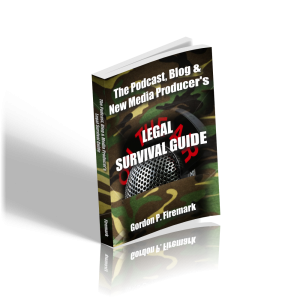 Then, later, I was interviewed (for the 2nd time) by Daniel J. Lewis, a well known podcasting expert for his show, The Audacity to Podcast, where I'll be featured on the next several episodes, talking about the subject , on the subject of of My Book. Profile on Southwestern Law’s Biederman Blog. DON’T SIGN THAT! – Webinar April 17th.